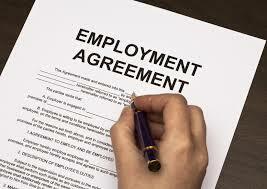 The employment act says that every employee must have a written employment agreement. An employment agreement sets out the terms and conditions that govern the relationship between an employer or employee. a collective agreement – that is, between two or more employees, and one or more employers, and one or more unions. As an Employer, you must keep a signed copy of the agreement and must give a copy to your employee/s. If you, as an Employer, breaches these rules, a labour inspector can issue an infringement notice (like a speeding ticket) to pay a $1,000 fine. As an employee, you (or a labour inspector) can ask the Employment Relations Authority to order your Employer to pay a financial penalty. From April 2016 the maximum penalties increased significantly for this and other breaches of workers’ minimum rights. Whether you are an Employer or an Employee and would like talk to us about setting up employment agreements or you would like us to check your employment agreement or you need representation, our friendly team can help. Give us a call 09 267 2700 or contact us.